KSOS/Las Vegas (SOS Radio) has hired Chalmer Harper as its new Music Director. Chalmer has been General Manager and afternoon personality at KWND/KWFC in Springfield for the past decade. ‘It wasn’t the excellence in radio, the calling of God on my heart, or the passion that I have for Christian Music… I was drawn by and knew this was the right decision because there is nothing I love more than a $12 Surf & Turf buffet!’ Chalmer, his family and his sarcasm will move to Las Vegas at the end of the school year. He will start sometime in June. 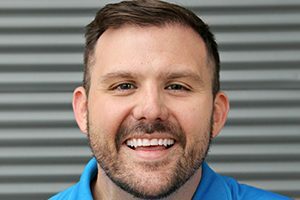 Harper replaces Dan Young who exited in October 2018 after 4 ½ years with the station to focus on his family business. SOS Radio is a network of Christian radio stations broadcasting in 9 states.